Well its a about a week since I placed something up on my blog. I know I have been slacking. I notice alot of the blogs I read are lacking with posts maybe it is the holidays. Here is a wrap up of a few things. Brian's Run was a nice 10k. I found out today I got second in my age group I have to pick up my award on Thurs. I will post and let you know what I received. Back to the race. It was very cold even with a 1pm start time. 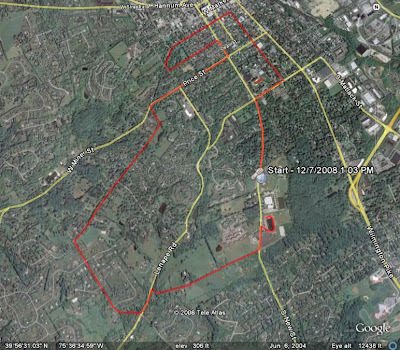 I ran this race last year and I forget how hilly it can be. There are a couple of decent climbs and some small ups and downs. I have run part of this course is my general training so I am somewhat familiar with the course. Last year 38:50 5th in age group and 40th overall. 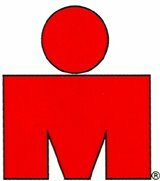 I have updated my race results page so you can see all my results. As for the 2200. I broke 2200 miles running this year. That is quite a feat. Well stay warm and enjoy the holidays. Hey Mike - I didn't even RIDE 2200 miles this year! Great job on the race. I'm guessing first place was Mr. Frank Durso.